Canadas industrial and beverage alcohol leader: Commercial Alcohols is the industrial and beverage alcohol division of GreenField Specialty Alcohols Inc., Canadas largest ethanol producer. World class production facilities have made Commercial Alcohols one of the top industrial and beverage alcohol producers in North America. 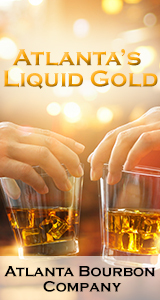 Commercial Alcohols makes Ethyl Alcohol, Ethanol, Denatured Alcohol, Neutral Grain Spirits (NGS) and other Beverage Alcohol and Industrial Alcohol for sale in Canada. The Distillery is a certified organic grain to glass distillery in The Junction, just north of Keele & Dundas, and is the oldest distillery in the City of Toronto after Prohibition. They distill spirits from locally sourced grains and other produce. Their products are unaged 100% Wheat Whisky in the LCBO, and other single grain whisky distillations.